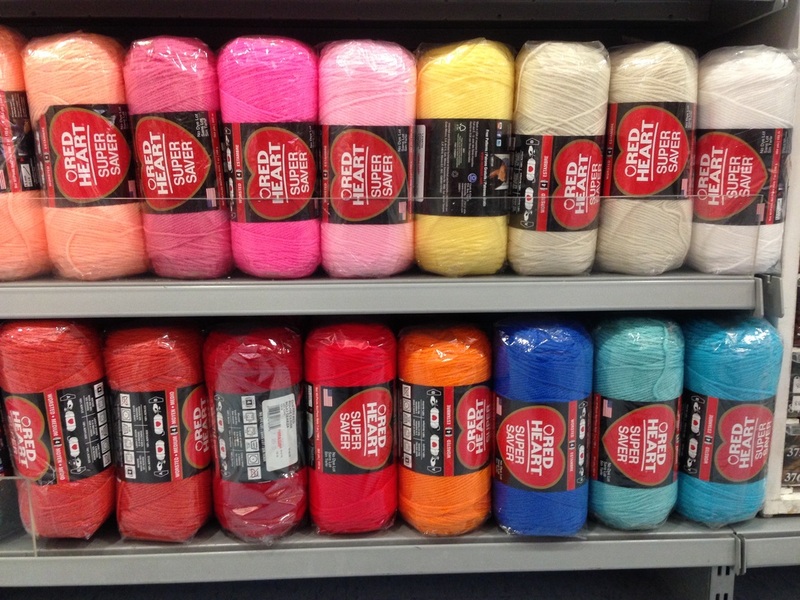 When I first started to crochet, I stocked up on Red Heart which was cheap and easy to find. It was available in National Bookstore and Carolina's for about P13 - P15 / 35 meters. But it pilled and was a bit coarse to the touch. I knew they wouldn't be good for making ba﻿by booties or Amig﻿urumi. 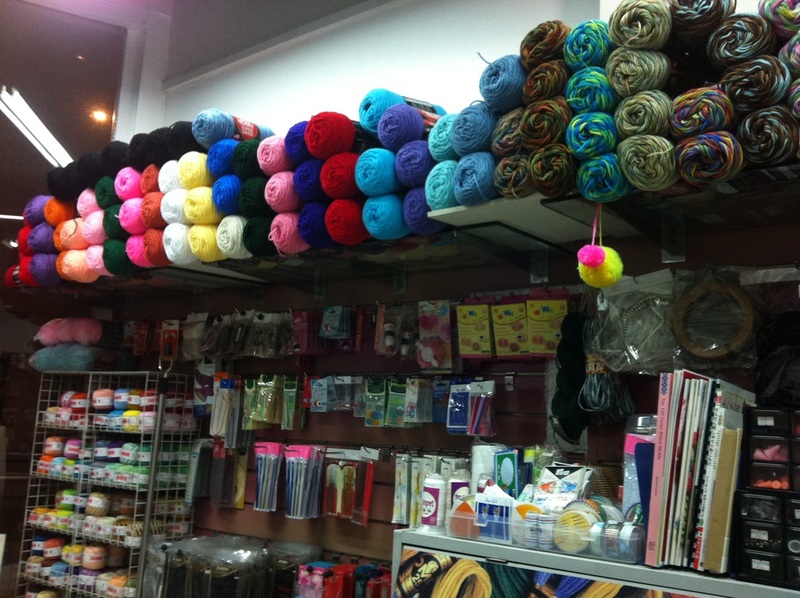 Then I discovered Dreams Yarnshoppe in Glorietta 5 which sells a Chinese brand of acrylic yarn called Excel. They're about P120 per 90 meters but they were much softer and stitched tighter than Red Heart. They also have an online store and ship to your doorstep! Locally I found Monaco and is my favorite brand for Amigurumi and "people" dolls. They have a wide range of colors and they're affordable too -- about PhP 25 / 35 meters -- available in Carolina's, Landmark and SM Department Stores. 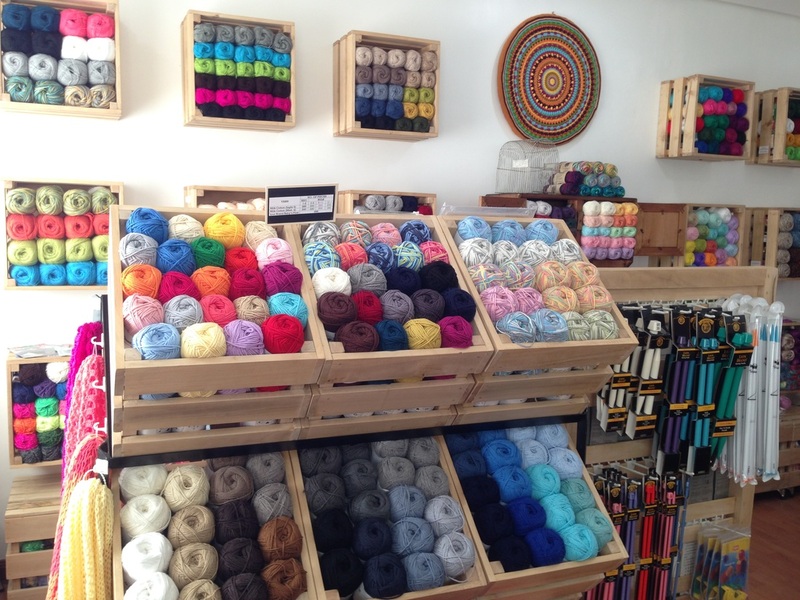 Gantsilyo Guru is my favorite local yarn store. 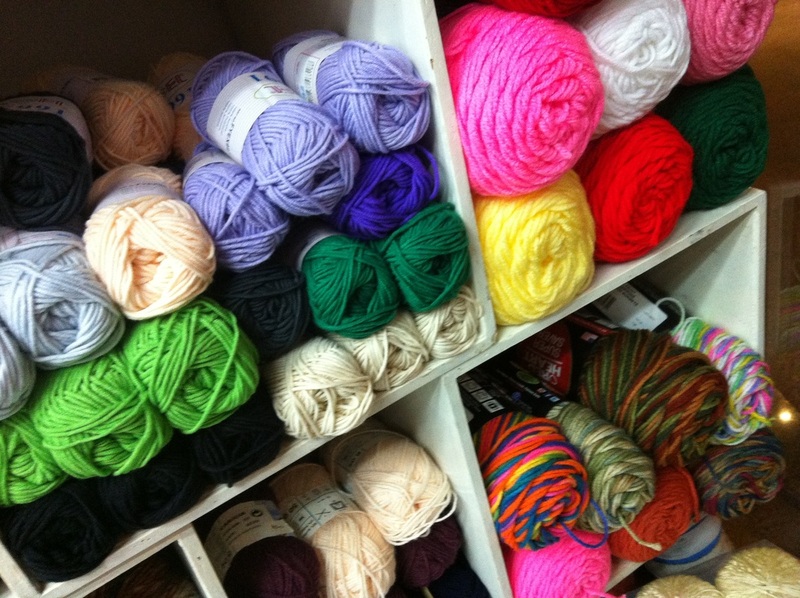 You can buy yarn, hooks and other crochet and knitting supplies online or visit their yarn studio in Pasig. Daiso Craft Felt. 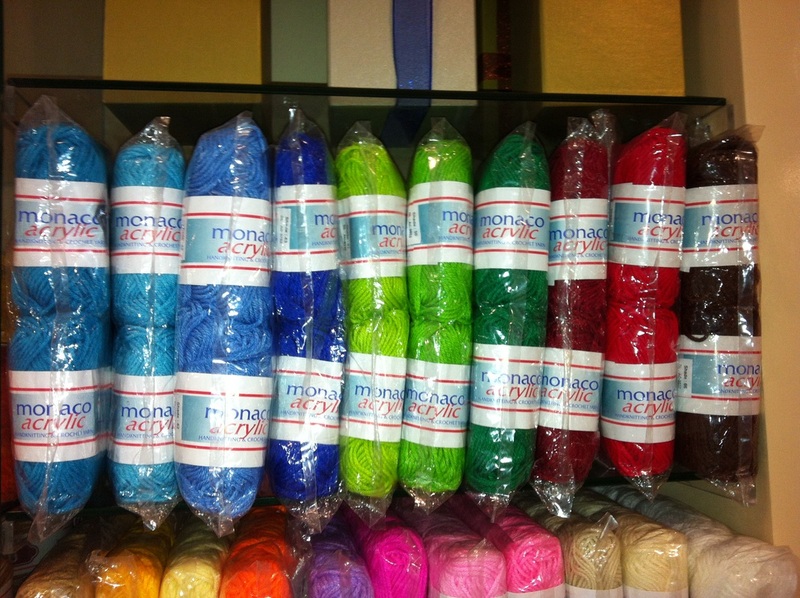 Sitting in the storage box with my stash of Monaco yarn are packs of felt fabric. I found them in the Saizen P85 Japanese Store in Market Market! I use them for finishing dolls like the inside of the bunny's ears and the bottoms of his feet. I soon went online and found Caron Simply Soft which I used for baby booties. 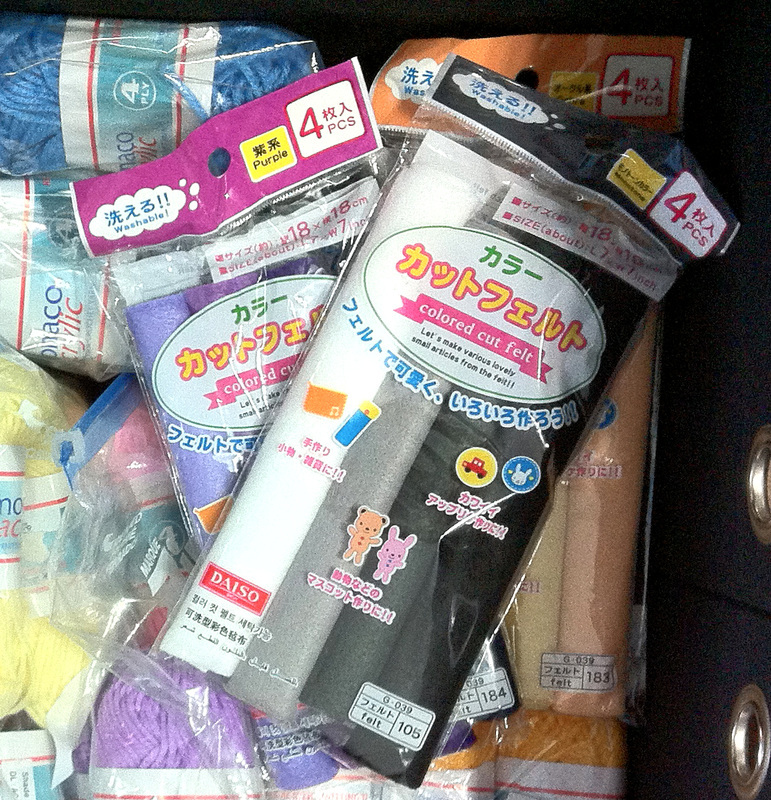 Like a crazy yarn lady, I have stocked up on pastels. This is available locally from Gantsilyo Guru. For bigger dolls, I like working with Red Heart Super Saver Yarn. 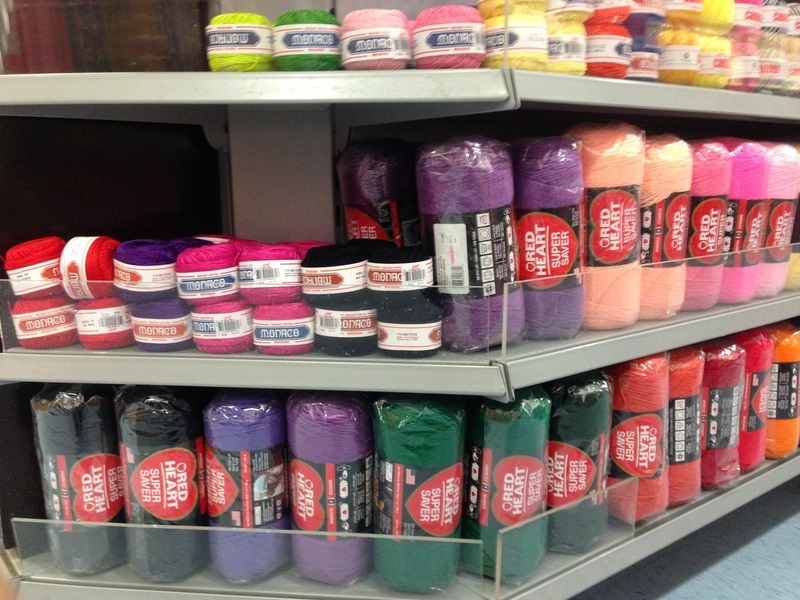 It's also available in Dreams Yarnshoppe, Gantsilyo Guru and Cash & Carry. I love my Clover Amour and Susan Bates Silvalume Hooks. 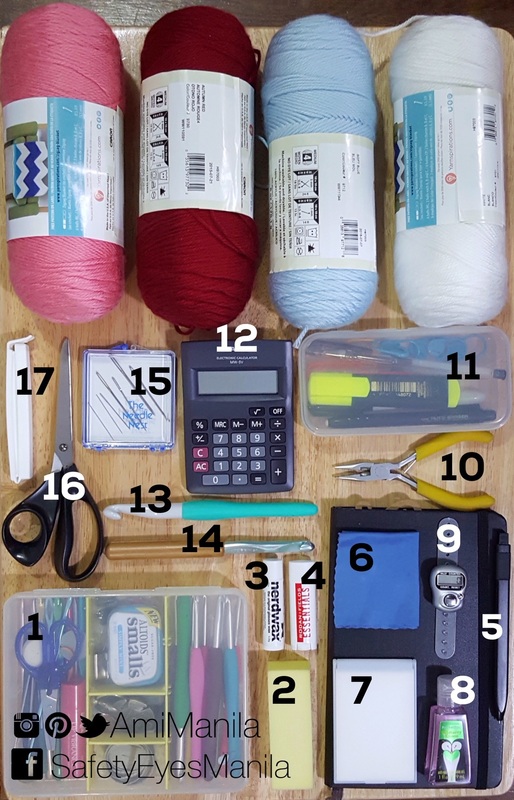 I have them in pretty much all the sizes but I like to use C to G for amigurumi depending on the yarn weight and the project. 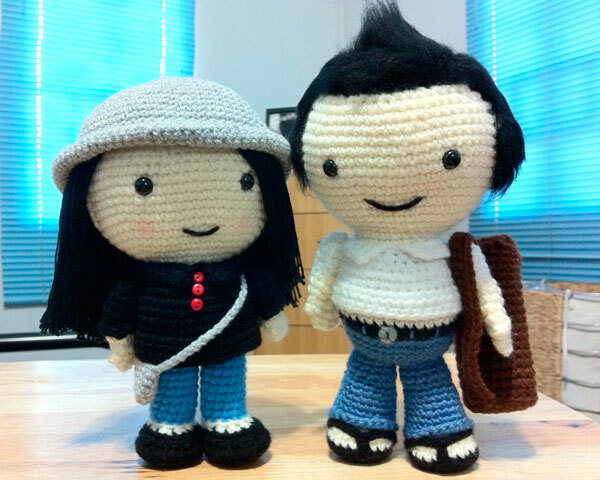 Locally, they're Dreams Yarnshoppe in Glorietta 5, Gantsilyo Guru and my store. 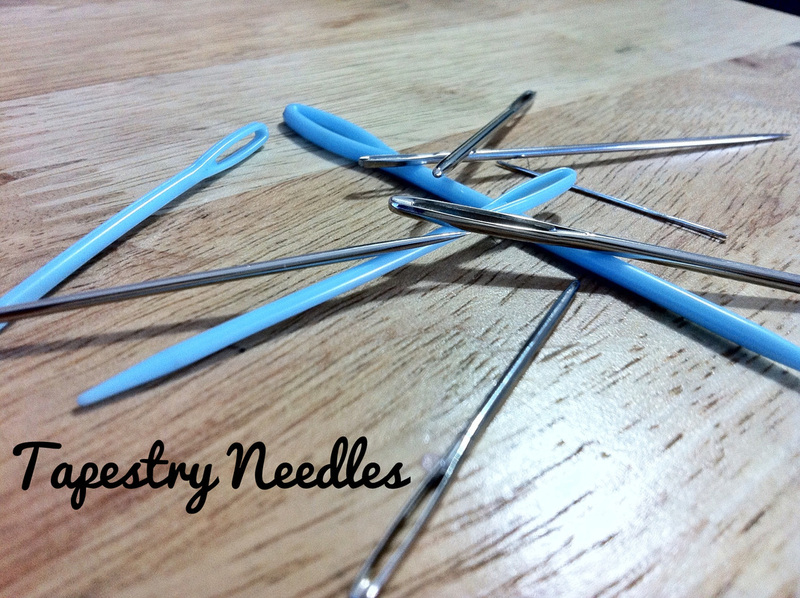 Susan Bates Tapestry Needles are available in my store. Knitting Warehouse for finishing off and closing but they broke easily. So I found Tapestry Needles from the Notions Section of SM Department Store. 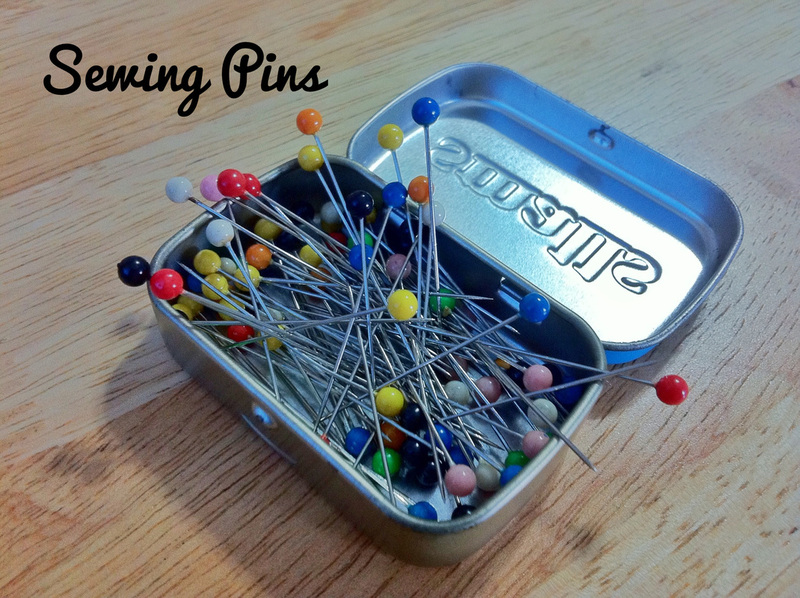 The thicker silver needles are blunt and good for sewing parts together. The thinner ones are really sharp so I use them for weaving ends. 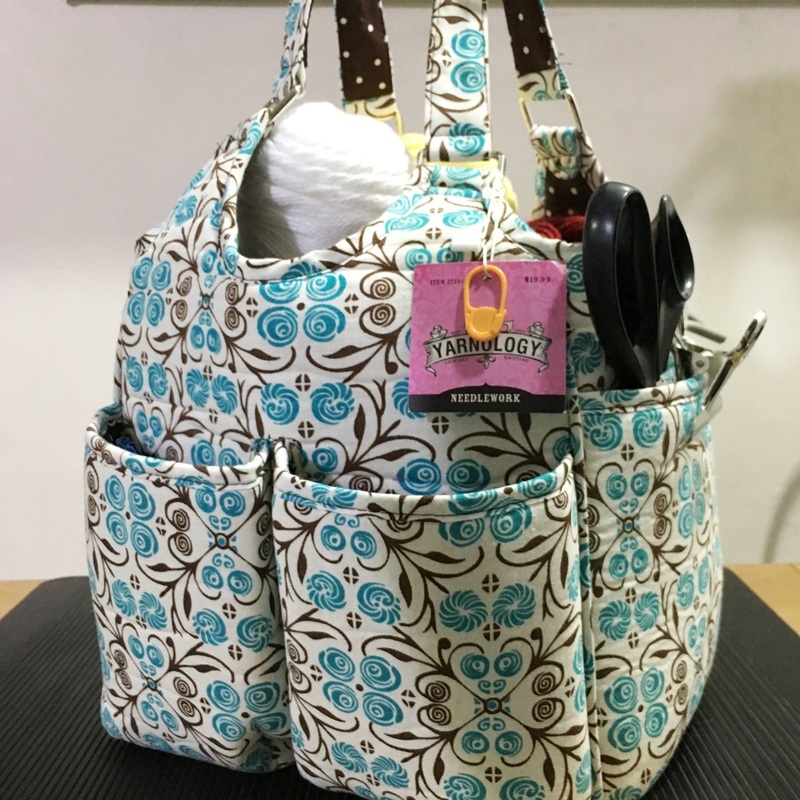 This is my Yarnology Craft Tote from Hobby Lobby. It's big enough to hold all these! 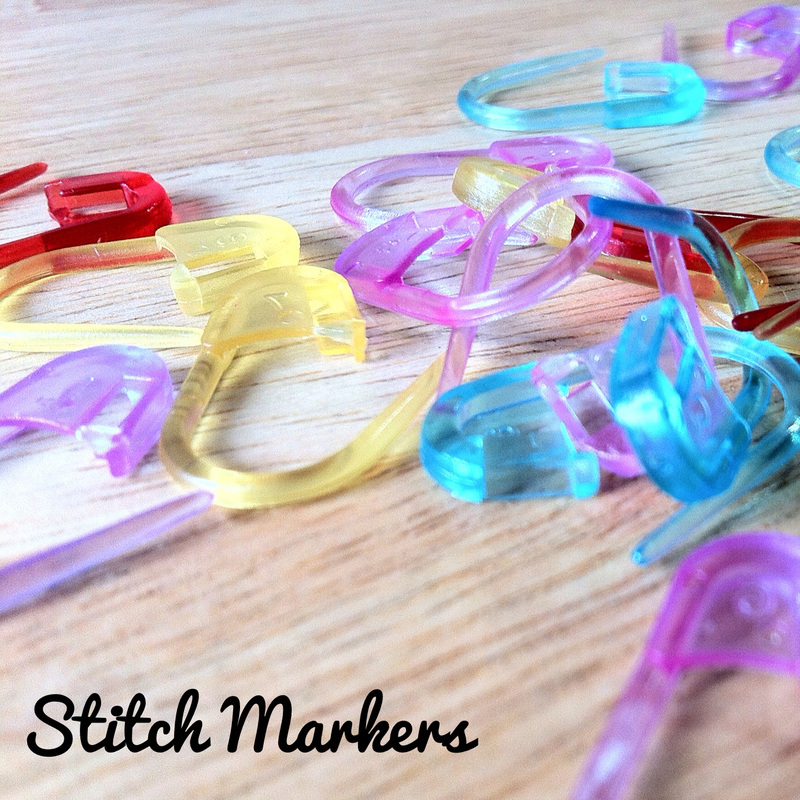 These smaller stitch markers are cute and colorful. Unfortunately, they also broke easily. 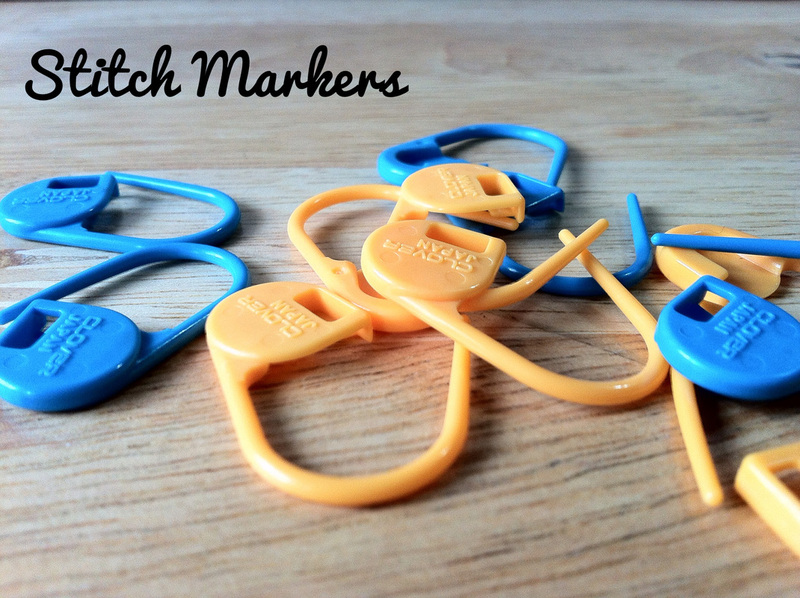 They're fine for marking your last stitch so you can pick up where you left off but I wouldn't recommend them for use while crocheting as you'll need to keep locking and unlocking them. I once broke 3 markers within an hour of crocheting. I found these Clover Jumbo Stitch Markers online though SpinBlessing. 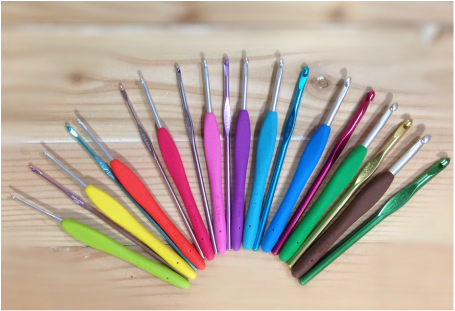 They're really handy when I need to crochet several rounds of the same number of stitches. They're also available in Dreams Yarnshoppe. 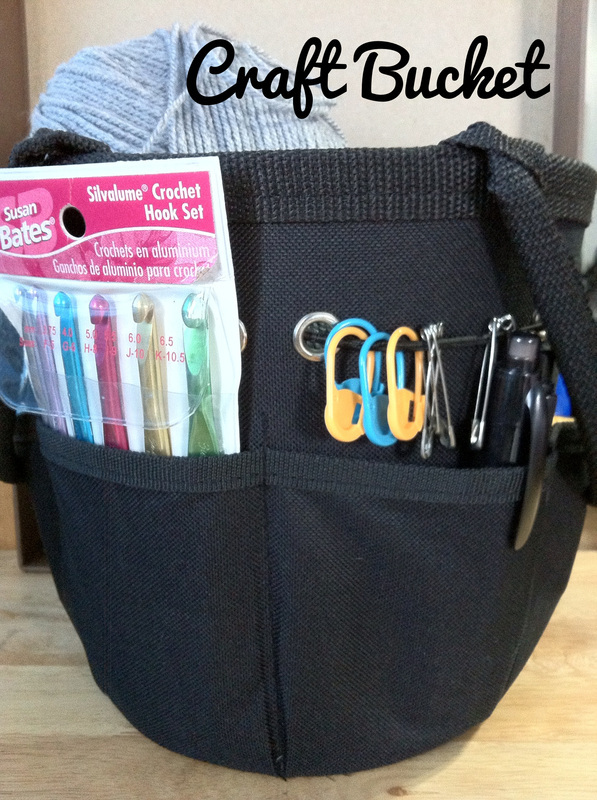 One of my favorite finds is this Craft Bucket from National Bookstore. 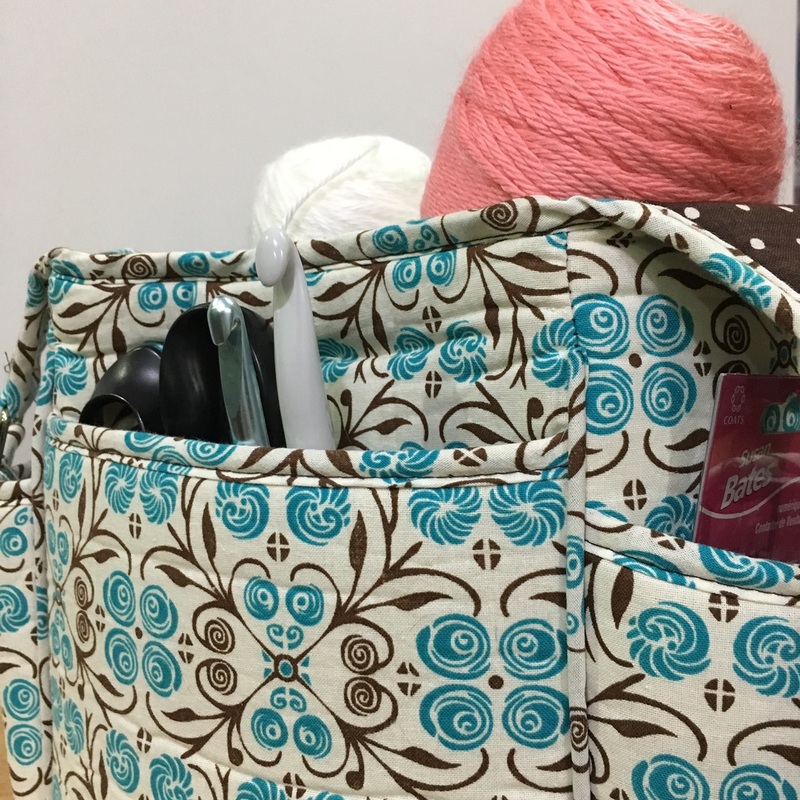 It holds lots of things and I keep all my tools and yarn in it. 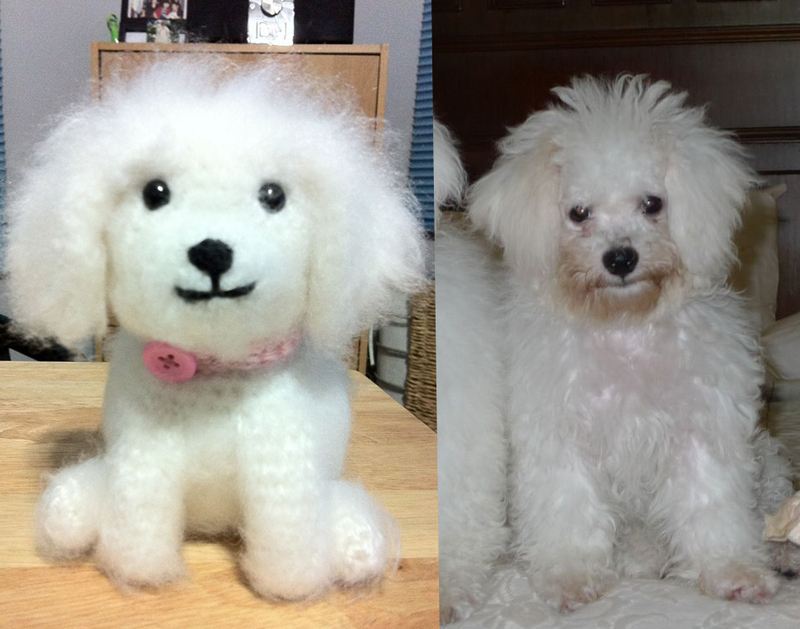 I'm not a huge fan of sewing -- I'm awful at it -- but it's a huge part of Amigurumi. To make sure I have everything centered before I sew arms to bodies or tack eyes on to heads, I mark mid-sections and hold parts in place with sewing pins. 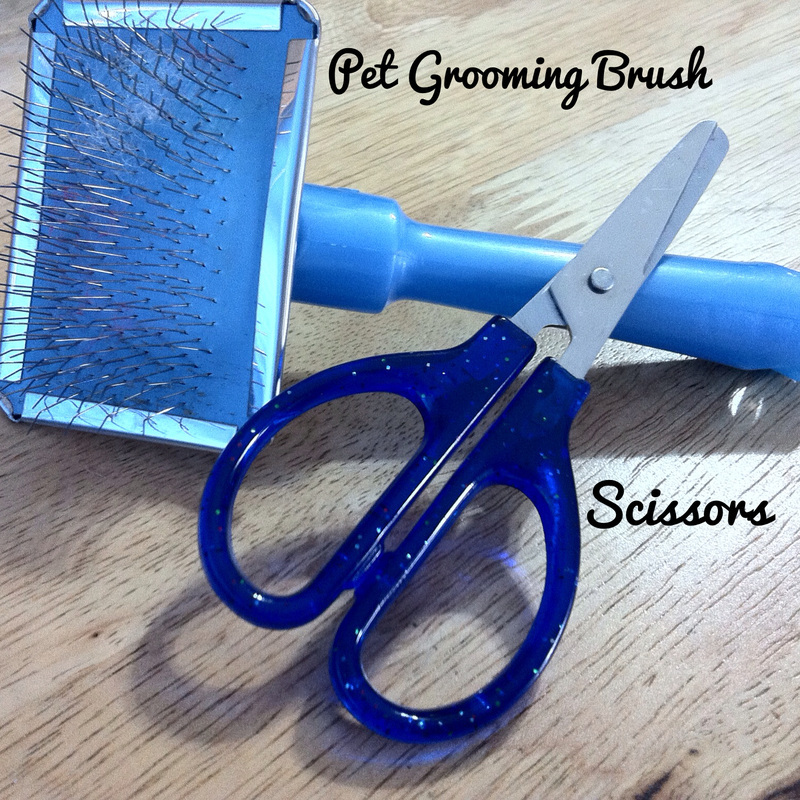 Pet Grooming Brushes are good for "making fur" and boys' hair. 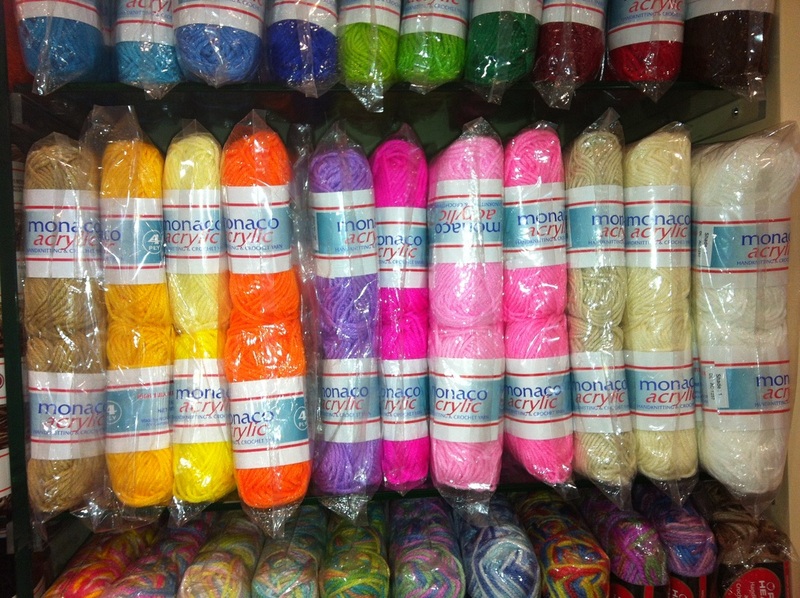 I found they work best on a local brand of acrylic yarn called Monaco.